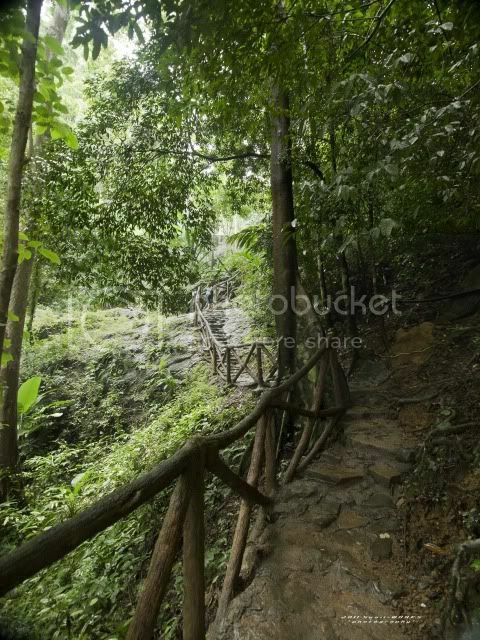 地点 Location Hutan Lipur Durian Perangin, Kompartment 13, Hutan Simpan Gunung Raya, Langkawi, Kedah. 类型 Profile Stream waterfall, cascade and slide. 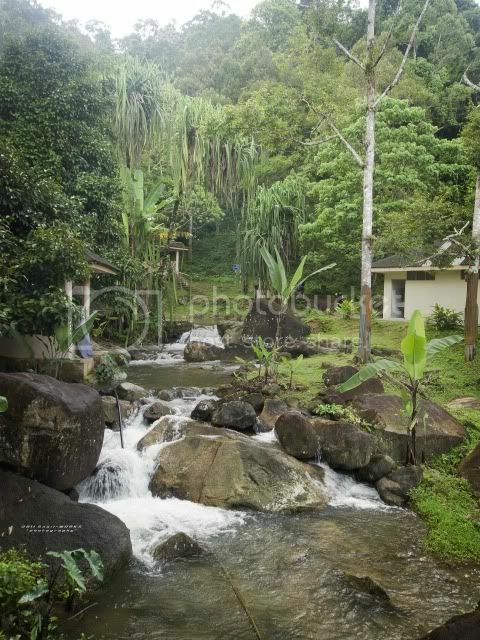 源头 Water source Sungai Ayer Hangat. +/- 16km from Kuah town. Nice picnic spot for family. None of leech found. Leeches may found at jungle side. 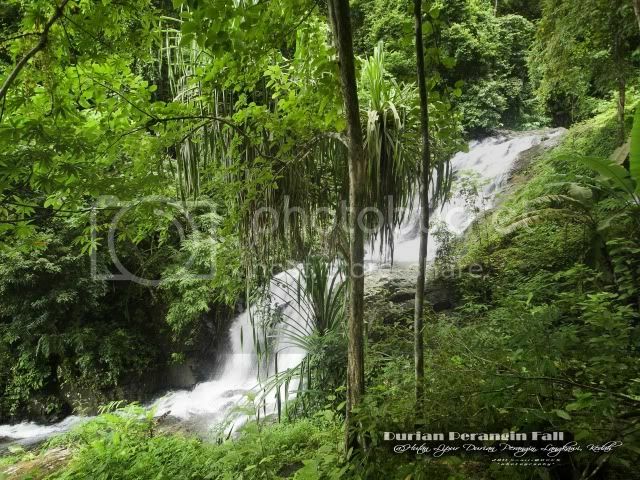 Durian Perangin Waterfalls is a 14-tier waterfall cascading down the slopes of Gunung Raya, on the northeastern part of Pulau Langkawi. At 881m, Gunung Raya is the highest peak on Langkawi island. At 881m, Gunung Raya is the highest peak on Langkawi island. 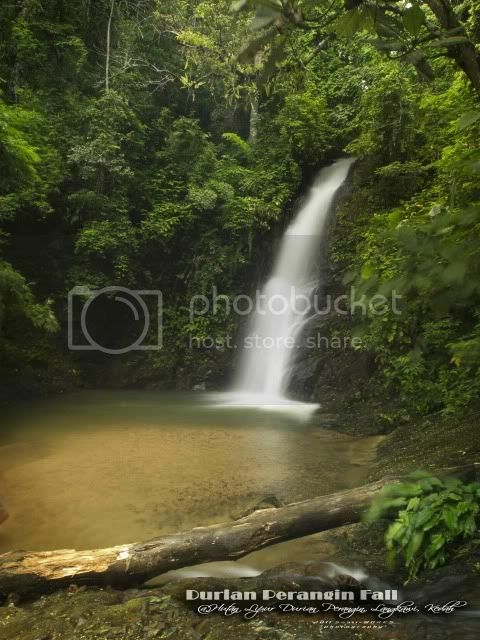 It is located about 16 kilometers from Kuah Town. The best way to come here is by renting a car and driving yourself there. The park is well developed. A moderate size of carpark and some sourvenier shops were built in front of the entrance. 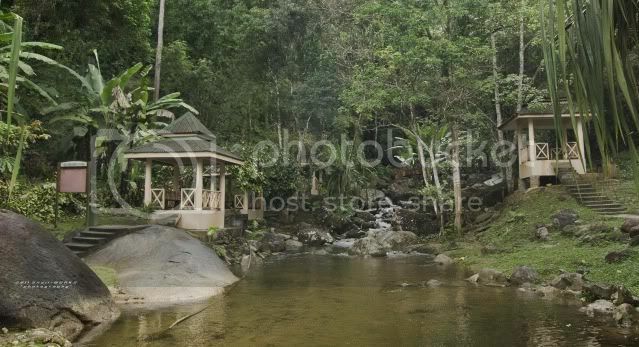 A short distance of walkway and pavillion was built at the lower reaches of Durian Perangin Fall. 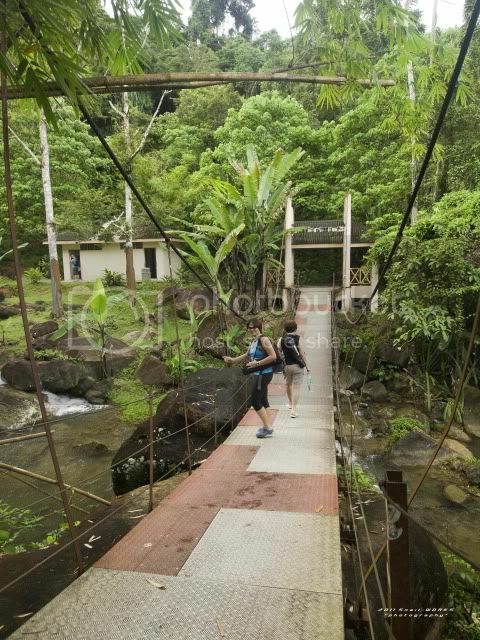 You can find basic facilities in the park including clean toilet and this suspension bridge, but sadly some of the facilities are in bad condition, especially the plank walk. The scenery of the waterfall park. The 1st tier of Durian Perangin Fall. A good place for picnic. Climbing up the path along the side of the cascades is bringing you to the upper falls. This is the 2nd & 3rd tiers of Durian Perangin Fall, lot of vegetations are blocking the view of fall. There's no good view point here, coz the slippery rock surface is not safe to walk on. 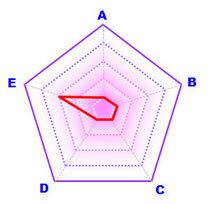 The 4th tier of Durian Perangin Fall is at the end of the staicase. 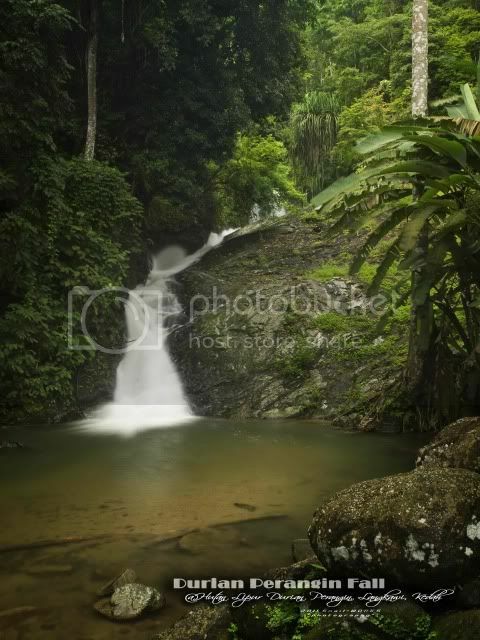 There's a big pool under the waterfall, suit for swimming. 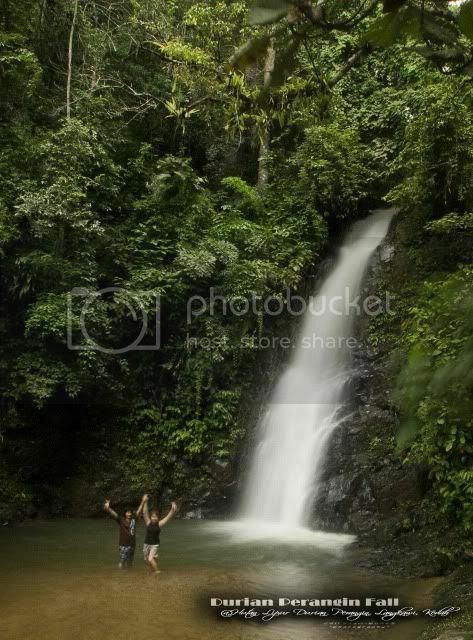 A refreshing cold splashing is always memorable. 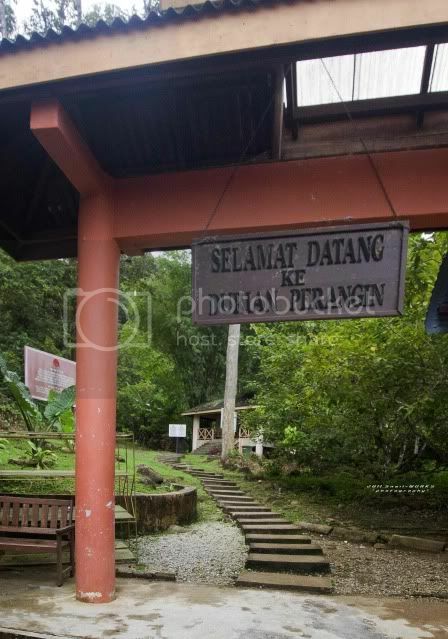 Still, the good time to visit Durian Perangin is in end of the year. The 5th fall is not easy accessible. Due to time is not consent, we leave it for the next time visit. 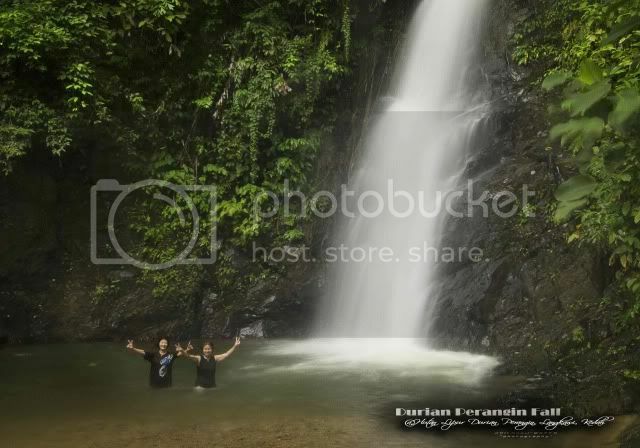 Have you been to the Durian Perangin Fall?